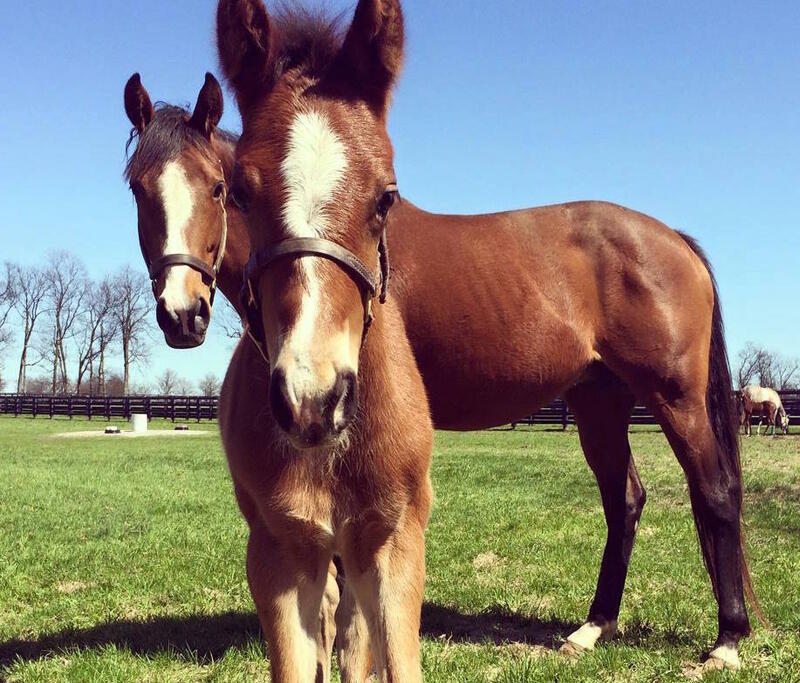 Guelph, Ontario – Equine Guelph announces its new “Mare & Foal Care Tool, a free and interactive online tool that will help users learn about reproduction in horses. The Mare & Foal Care Tool was designed and developed in partnership with PFERA, an equine reproductive biotechnology company, as a resource for horse owners and breeders. This free online resource will take users through the complete cycle of reproduction in the horse, from preparing to breed a mare to caring for the newborn foal. Users can start with The Pregnancy Wheel, where they'll see how their foal will develop through pregnancy and learn what care their mare will need. They can experience the Mare & Foal E-Learning Checklist, an interactive module that will take users through the needs of the mare and/or foal before, during, and after pregnancy. Finally, users can watch the Foaling Time Video and print the Foaling Checklist Poster so they're ready when it's time to meet their new little one! Your foal begins practicing their coordination with head nods and limb movements by days 40 and 46 of pregnancy, respectively. That's only a month and half into your mare's 11-month pregnancy! Your foal is quite active by month 3, moving around in the allantoic sac and changing direction an average of 5 times/hour. Your foal is also practicing neck arching (think mini dressage horse!) and moving their limb to prepare themselves for movements they'll need in life, like nursing and chewing. There are 3 distinct stages of labor in horses, and your foal will make their grand appearance into the world during the 2nd stage. To learn more about reproduction in horses and to prepare if you're planning to breed your mare and/or have a little one on the way, check out The Mare & Foal Care Tool. This entry was posted in Horse Care and tagged Equine Guelph, foal, labor, Lisa Schultes, mare, online, online tool, ontario veterinary college, PFERA, poster, Pregnancy wheel by Edited Press Release. Bookmark the permalink.